(Photo taken at the church, with my phone.) The organization we made the quilt for is the VA Puget Sound Fisher House. It's a place that serves veteran and active duty military families when they have a loved one in the hospital. The young women from church made enough blocks for a second quilt, and our church group donated quite a bit of other household items as well to help the Fisher House out. It was great to learn more about this organization and I'm sure we will make more quilts for them in the future. 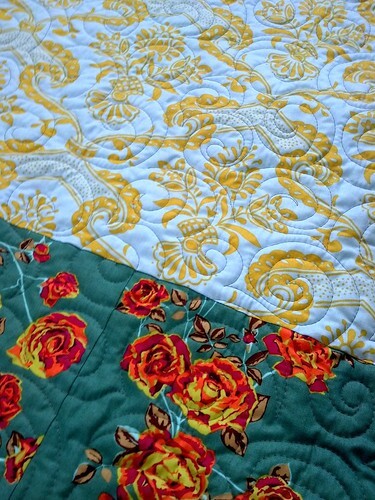 So I have more quilting and then binding in my near future. One more thing--random.org chose Lee B. as the winner of my Giveaway Day potholders. I'll be starting on them very soon, thanks for being patient, Lee! 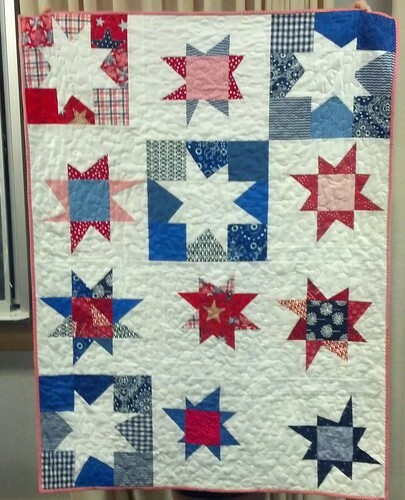 The star quilt turned out great! 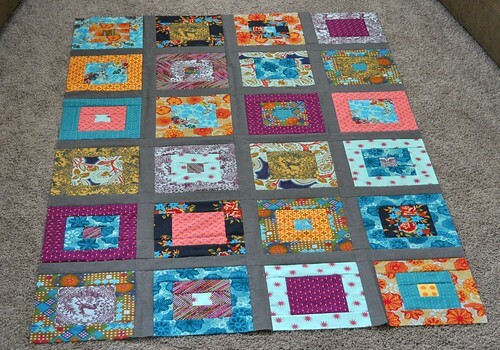 Cool idea to have the YW make quilt blocks. 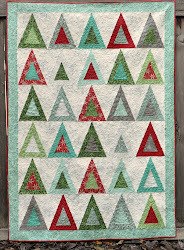 And I LOVE the colors in your simple squares quilt! Stunning! The colourway of your simple squares quilt is gorgeous and I also love those few large pattern fabrics you've used to great effect.